Growing up in the city means that although I do prefer to live in an urban environment, the thrill of getting away into nature is always a thrill and something I don’t think I’ll ever get bored of. So many of the most memorable moments of my travelling life have been out in nature – atop Mt Fuji in Japan, or in the alps of Switzerland, or in the crazy flat, dry outback of Australia. In this episode of The Thoughtful Travel Podcast I chat with a great bunch of travellers who have also had some special experiences in nature, and like me, keep trying to have more. Hope you enjoy the episode and I’d love to hear about your own favourite parts of nature in the comments below. Who doesn’t love nature – at least some of the time? 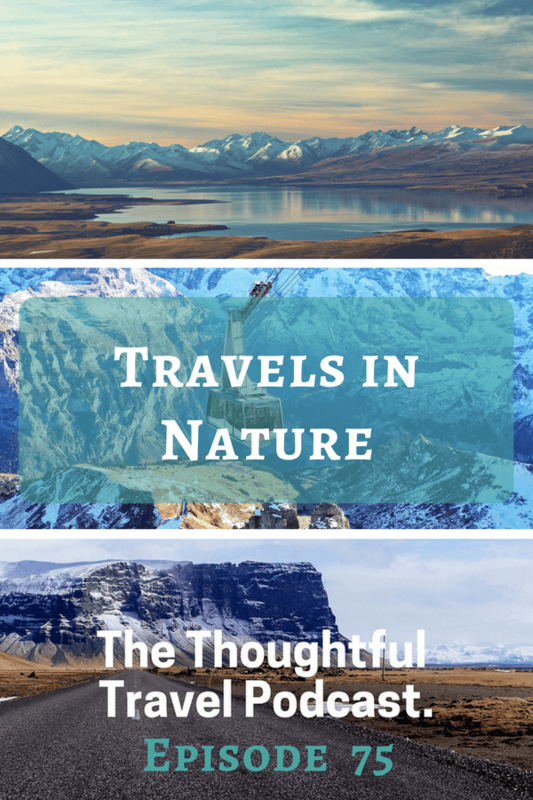 Episode 75 of The Thoughtful Travel Podcast is all about travels in nature, and the many and varied forms this travel can take. It starts off in pretty extreme nature when I chat with Luke Mackin, who has a tale of confronting nature in rural Sumatra. But Samantha Fisher, my next guest, has another take completely and describes urban pockets of nature before waxing poetic about her experiences seeing the nature of New Zealand. My final guests are Elizabeth and Jeff of Dutch Dutch Goose and they have yet another great take on travelling to see nature, with some fabulous examples of the kind of nature both adults and kids can enjoy in various parts of Europe.